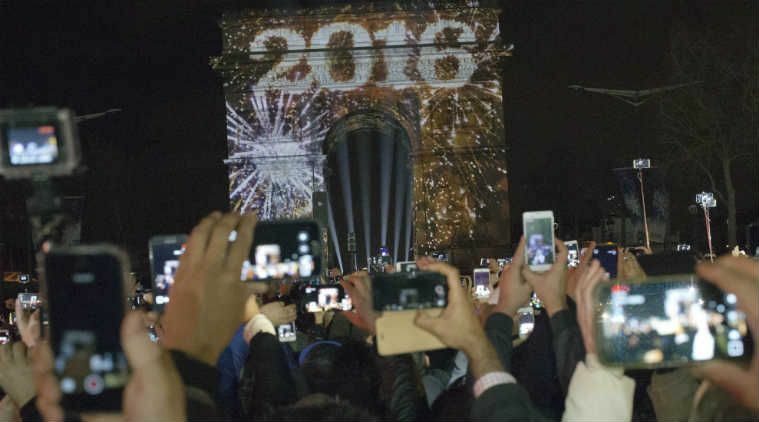 India becomes World Second largest smartphone market in the World. Smartphone become as a part of our life. Now a days without smartphone is like a hell. According to Counterpoint’s Report. 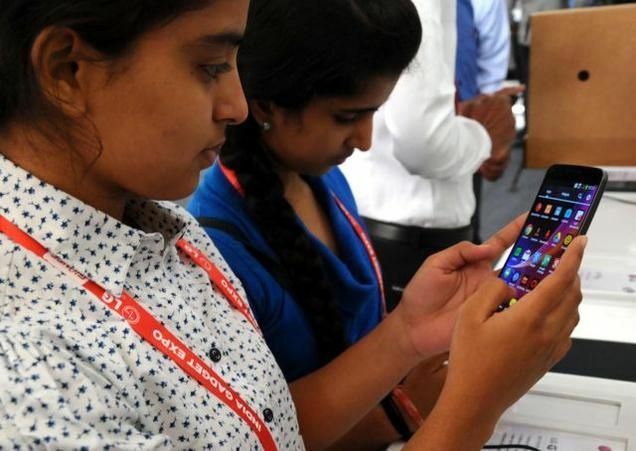 India’s smartphone users increased to 220 million by the end of last year. India Surpasses USA. About 50% of the mobile phones sold in India after PM Modi started ‘Made in India’ Campaign , and 40% of the mobiles totally shipped were smartphones. Online retailers says that one of three smartphone sold everyday. In the chart, Samsung is top in the list of smartphone as well as feature phone segments, Micromax is in second place. 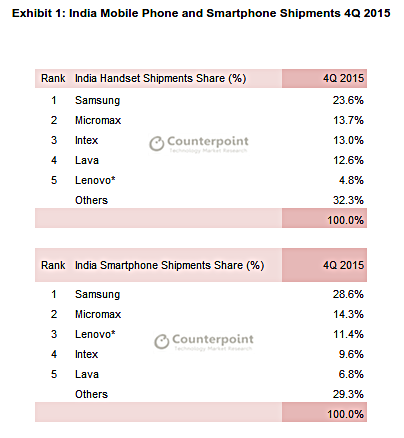 The remaining 3 were holded by India’s Intex and Lava, and China’s Lenovo.